"Wait a minute, David. Did you just say 'goes on sale'? Hasn't the DCUO content been free so far?" Well yeah. If you've been playing DC Universe Online before now, you've probably taken part in some of the game's regular content updates ... things like taking on the dual personalities of Two Face or putting a halt to Catwoman's thieving ways (for a little while, at least). But "Fight for the Light" is a lot more than just a standard content update. This is a true expansion, adding a whole new power set for players to save the day (or rule the night) with. Plus, there's a lot of other new content available to those who decide to shell out the $9.99 for the expansion. First up is the new S.T.A.R. Labs area. A cornerstone of all things science-related in the DC Universe, S.T.A.R. Labs has long been a target for some of the more hi-tech villains. Well, you can't get much more hi-tech in DCUO than the big baddie of the game, Brainiac. And now, with the arrival of the different Lantern Corps, Brainiac believes that S.T.A.R. Labs, and the experimental equipment stored inside, is the key to harnessing the power behind the Lanterns' rings. 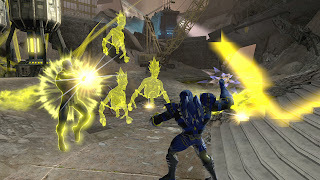 In order to prevent this from happening, players on both sides must call a tenuous truce, as the Green and Yellow Lantern Corps are forced to team up and throw a hard light monkey wrench into Brainiac's plans by bringing those devices back under S.T.A.R. Labs' control. 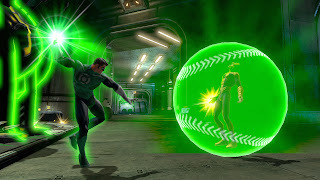 Next, players will travel on to Coast City, the home of Earth's first (and arguably best) Green Lantern, Hal Jordan. 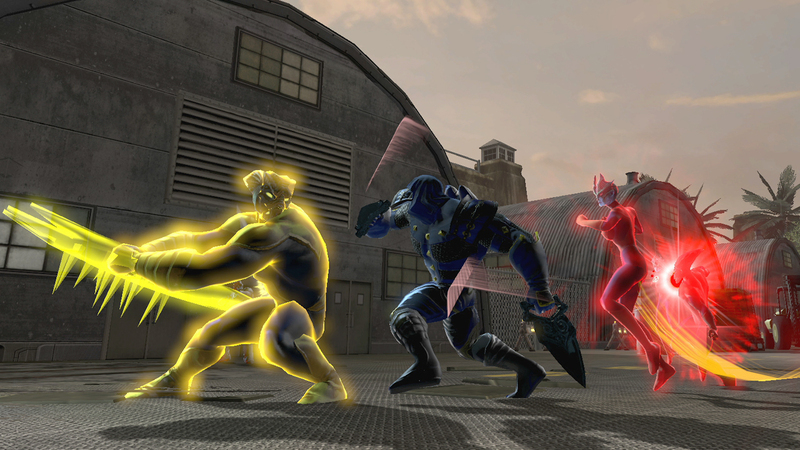 Here, players have to fight their way to Ferris Aircraft and take on the seething rage of Atrocitus and his Red Lantern Corps. This isn't just a battle to save Ferris Aircraft, though. The stakes are much higher, with all of Coast City and even the whole of the universe at risk. From there, players will leave Earth behind and take a trip to the planet Oa, the home of the Guardians and the main base of operations for the entirety of the Green Lantern Corps. Deep within the walls of the Sciencells, the Corps watches over the most dangerous criminals in the universe. It's here that heroes will join with Guy Gardner to stop a prison break that threatens to release the most feared prisoners the Green Lantern Corps has ever faces. Of course, on the other side of the equation, players with a more villainous streak will fight alongside Sinestro as he attempts to break out the Corps' greatest foes to recover the evil Lyssa Drak and her knowledge of the Book of Parallax. As cool as all that is, it still pales in comparison to the expansion's biggest new addition, the ability to wield the power of the Lantern Corps. "Fight for the Light" add a seventh power set for players to use: Light. Players will have a whole new toolbox to play with as they create new heroes and villains with the ability to channel hard light constructs, or transfer these new abilities to their existing characters. Whether you have the willpower to overcome, you have great rage in your heart, or you have the ability to instill great fear, there's a reserve Lantern Corps ring waiting with your name on it when you pick up the "Fight for the Light" expansion to DC Universe Online on the PC or PS3 later this Summer for $9.99.